Enable your application to split and merge PDF. Let your application be able to fill PDF form. Make your application able to add PDF watermark. VeryPDF PDF Toolbox Component for .NET is a component package for developers. 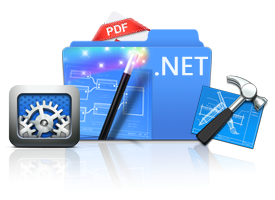 With this component, developers can enable their .NET applications to edit PDF. The component provides PDF editing functions like merge PDF, split PDF, remove pages from PDF, fill PDF form, add watermark to PDF, export or edit PDF description information, attach file to PDF, remove attached file from PDF, compress stream objects of PDF, remove PDF passwords, encrypt PDF with password, and repair damaged PDF. Enable .NET application to edit PDF with other PDF editing applications. Let developers' applications be able to merge PDF and split PDF. Enable developers' applications to remove or extract page from PDF. Make a .NET application able to fill form PDF. Enable a .NET application to add watermark or stamp to PDF. Make .NET applications able to export or edit PDF description. Let .NET applications be able to attach/remove file to/from PDF. Enable developers' .NET application to compress stream PDF objects. Make .NET applications able to encrypt and decrypt PDF. Enable developers' applications to fix corrupted PDF.